Engineering Principles is a contextual-based learning course where students explore a variety of technologies as they develop valuable skills. 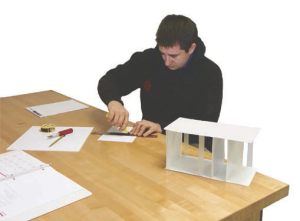 Using a team-based approach, this course is designed for most students to help them achieve an understanding of fundamental engineering subjects. Students build skills for success through, research, experiments and challenges that incorporate Science, Technology, Engineering and Math (STEM) concepts. Engineering Principles introduces students to a variety of different technologies. Students begin this course, by researching engineering careers and the design process. 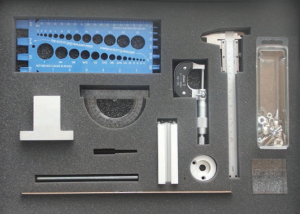 In the Precision Measurements unit, students use a range of tools and mathematics to attain accurate measurements. These fundamental skills will be useful in virtually any career path. 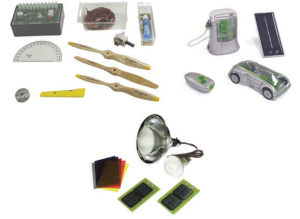 The Electrical Circuits unit guides students through experiments designed to provide an understanding of electricity, electrical components, and circuits. As they study Alternative Energy students perform experiments about wind, solar, and fuel cell technologies. They will construct a variety of simple and complex mechanical circuits in the Mechanisms unit, and apply the physics concepts used in those systems. The Fluid Systems unit has experiments that demonstrate how different pneumatic devices operate and can be combined into systems to do work. The more complex circuits will demonstrate how different technologies can be combined. In ECI Model 271S Introduction to Engineering Trainer, students explore engineering careers, communication techniques, and the design process. As students learn about types of drawings, documentation, and presentations, they develop the skills needed in project development. They are challenged with a design project, and create a model of their own design. 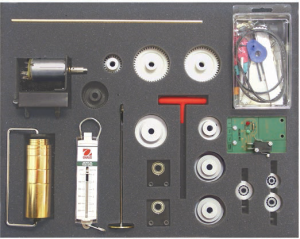 In ECI’s Model 272S Precision Measurements Trainer, students develop skills using a range of tools and mathematics for attaining measurements. 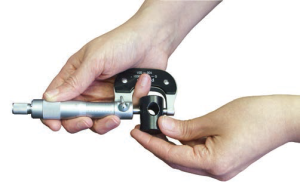 The hands-on experiments help students gain the ability to make accurate measurements and dimensions, which is often crucial for the success or failure of a project. Students will find that these skills will be useful in virtually any career path. 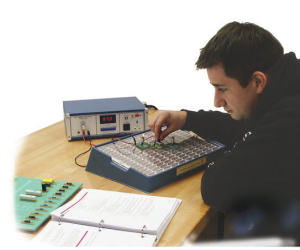 The ECI Model 273S Electrical Circuits Trainer guides students through hands-on experiments designed to provide an understanding of electricity, electrical components, and circuits. The understanding of electrical circuits is a necessity for engineers working with complex systems and devices. Students will be able to apply what they have learned in a wide range of job situations in their future careers. In ECI Model 274S Alternative Energy Trainer, students perform hands-on experiments for wind, solar, and fuel cell technologies. In this basic introduction to alternative energies, students are challenged to calculate energy needs, analyze data, and create their own designs. As the use of alternative energy grows, the need increases to prepare students for careers in this field. 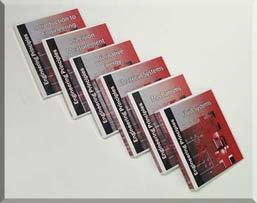 The ECI Model 275S Mechanisms Trainer is a challenging program covering basic devices and simple machines. The students use the unique support stand system to construct a variety of simple and complex mechanical circuits and apply the physics concepts used in mechanical systems. The hands-on experiments and calculations help prepare students to succeed in higher levels of study in engineering. 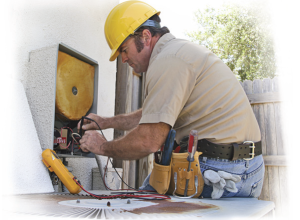 The AC/DC power supply is fully protected and specifically designed to provide long life under classroom conditions. Built with rugged 20-gauge steel, it is made in the USA and backed by a 3-year warranty. The ECI Model 276S Fluid Systems is a complete comprehensive trainer that introduces students to fluid technology and applications. 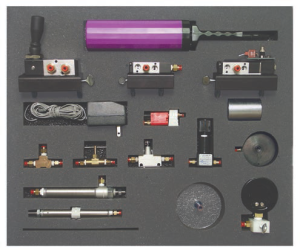 The hands-on experiments demonstrate how different pneumatic devices operate and can be combined into systems to do work. 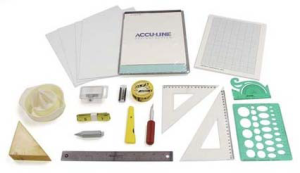 The trainer includes industrial grade components, with quick-disconnect fittings and a mechanical breadboarding system for fast circuit construction. The Fluid Control Panel has a System Pressure Regulator and pressure gauge. It also includes two Pressure Control Switches, Pressure Indicator, and Flowmeter. The air ports are provided with quality quick-disconnect fittings. Requires shop air or optional ECI Compressor.